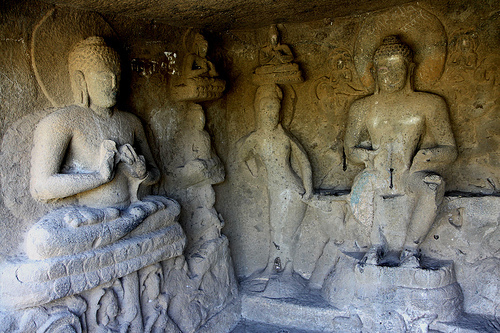 Pandavleni caves Nashik were carved out in the hills by ancient Jain kings to keep idols of Gods, Bodhisattva and Lord Buddha. Another reason behind the creation of these caves is to provide the space to months for living & meditating peacefully. Though the name of this spot is Pandavleni, it has no connection with Pandav brothers from the Mahabharata. According to experts, these caves are of a same age of Karla caves near Lonavala.Architecture There are various viharas (monasteries), Chaityas (shrines), water tanks, pillars and carvings inside these caves. 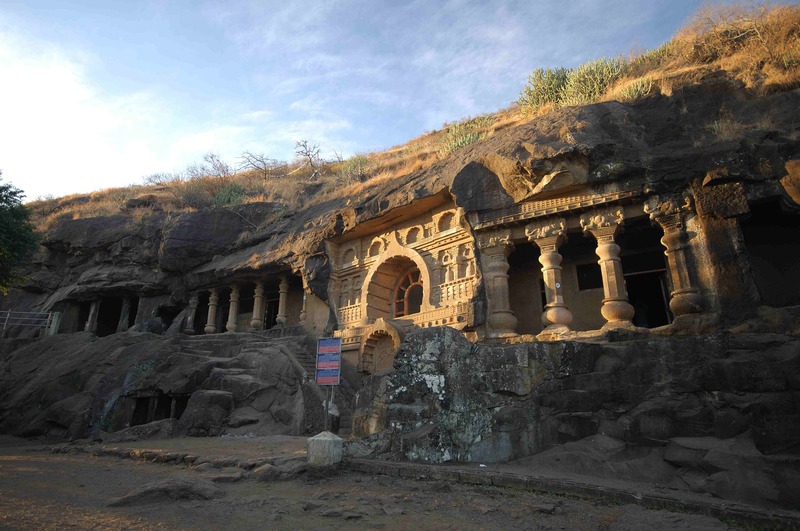 The Pandavleni caves Nashik dates back to the 3rd century BC and the 2nd century AD. 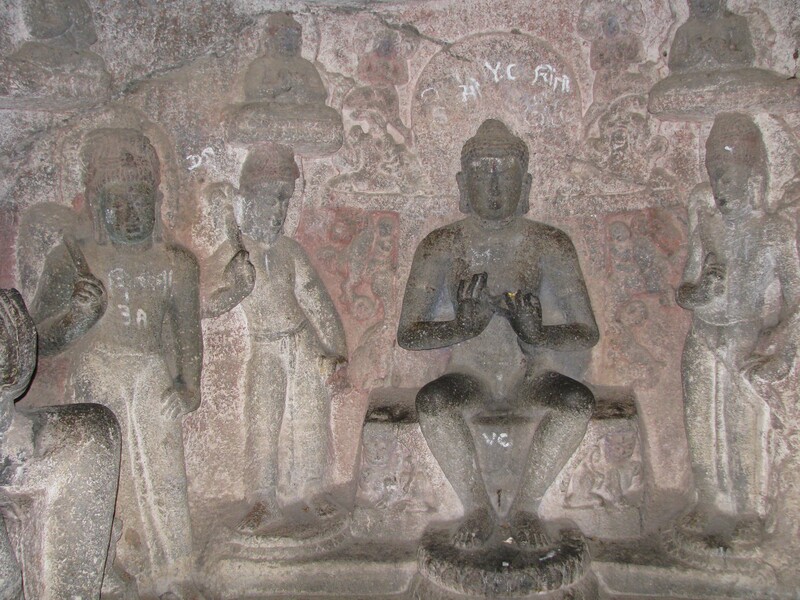 These are the total of 24 Buddhist caves and holds a vital importance. Cave number 3 and 10 are most attractive among all caves., Inscriptions: There are many rare inscriptions inside the caves which serve as an interesting part of a study for researchers & historians. Specially the writings in the cave number 18 is a point of interest among historians. Cave number 15 has an inscription about the last king of Satvahan – Shri Yajna Satkarni (King of Western Maharashtra). Sculptures: Beautiful sculptures of popular persons like Ambikadevi, Jain Tirthankar Rishabh and Veer Manibhadraji. Chambers: There are few big rock cut chambers in these caves which were used by Buddhist monks as monasteries for their meditation & teaching sessions. Water Structures: Pandavleni caves Nashik have an impressive water management system. Various rocks have been cut carefully to give a direction to flowing water. In the same way, storage water tanks made of the rocks are present. Stone Ladders: Few structures inside the cave complex are interconnected by ladders carved out in the stone. The caves are situated exactly on the Mumbai-Agra highway. You can literally see them while traveling on this road.